For its one year anniversary exhibition, JAUS is pleased to present Harmony Reverberates Optimism curated by Ronald Lopez featuring works by Azadeh Tajpour, Kristin Ross Lauterbach & Christina Lee Storm, Lea Redmond, Ofunne Obiamiwe, and SaeRi Cho Dobson. Inspired by this phrase, “harmony reverberates optimism”, Ronald Lopez organizes this current exhibition which celebrates women and their efforts to create social change through their art form. He states, “My desire was for art that not only provokes dialogue but pushes boundaries; art that is active and penetrates society in such a way that it promotes itself fiercely and unapologetically. The works I have decided to showcase are created by women who – in the same fashion as Beral Madra, Molly Murphy MacGregor, Mary Ruthsdotter and Maria Cuevas – aggressively engage society. In each piece the line between art and social activism is blurred and the two are married in such a way that they become a powerfully provocative force. Ofunne Obiamiwe presents her latest project, “Status of Women”, an interactive project inspired by Facebook celebrating ten contemporary women and their roles in their respective fields. Obiamiwe presents a video of a constructed forum, ten Facebook like profile pages, and an interactive component which enables viewers to comment on a “wall”, in this case a black book, all revolving around these ten women. 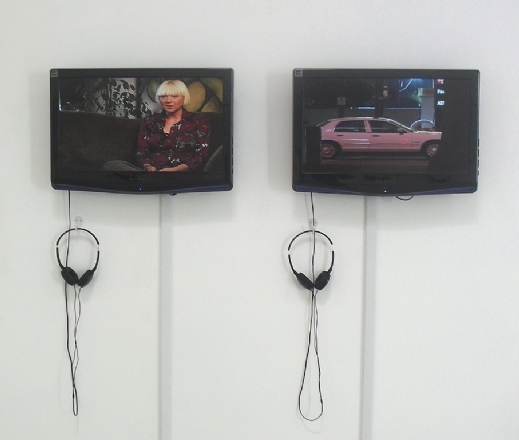 Lea Redmond, with her “Changing Clothes: Care Instructions/Tag Exchange”, raises long-lasting social awareness in each viewer. In her effort to “map” clothing labels, Redmond literally requires participants to cut out their own clothing tags and pin them to a map, specifically to the geographic region where the clothing article was made. 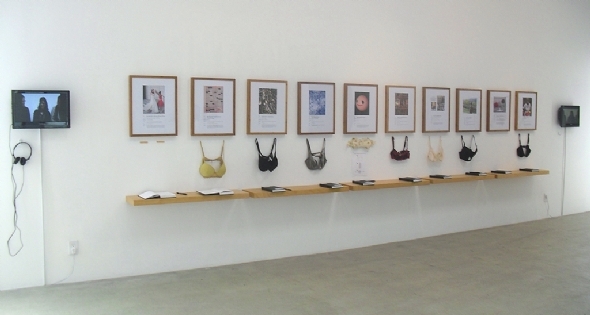 In so doing, a new awareness is created of the relationship between the clothing’s origin and place of purchase. Redmond implements a minimal approach in creating a socially conscious community that pays more attention to its ecology and the societal mechanisms which exist between the “haves” and the “have-nots”. 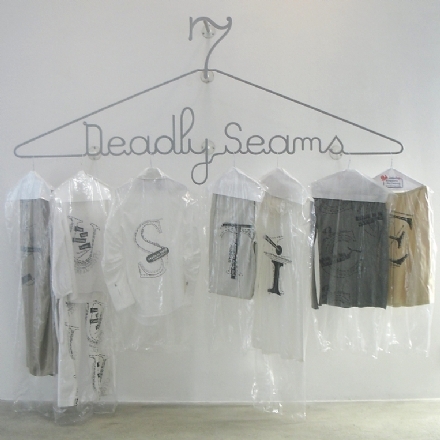 SaeRi Cho Dobson, with her installation “7 Deadly Seams”, exposes an all too familiar industry to us, the dry cleaning business. What is presented – via typography eloquently printed onto garments covered with slick plastic and hung on typical dry cleaning hangers – are horror stories of a rapidly-growing epidemic of immigrants being ‘taken to the cleaners’ by their customers. With its title, the piece immediately recants Dante’s Inferno with a modern twist. The elegantly seductive design operates in beguiling contrast to some of the most atrocious stories. If studied closely, one cannot leave the piece without feeling sick. Kristin Ross Lauterbach and Christina Lee Storm’s latest video art project, “Flesh”, explores how U.S. citizens participate in the proliferation of human trafficking in the United States and around the world. The 12-minute video follows three survivors from slavery to freedom. Kristin approaches her work with great conviction as she pulls open the curtain to let us see a world to which we may have otherwise been blind. With an astute and unflinching eye, and music video like editing, the viewer is taken on a journey from a candy-coated world into the underbelly of a dark and desolate reality. Azadeh Tajpour employs a subtle approach yet devastating approach in confronting mortality in Iraq. 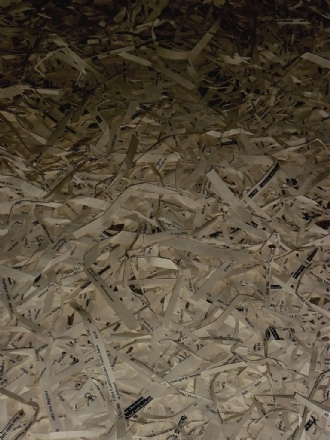 The “Iraqi Body Count” installation, at first glance may appear to be a dark room filled with rubbish, thousands of random strips of paper. Upon further inspection, however, one realizes that each strip has a name, a gender, an age and/or a job description. These words describe those that have been killed during the occupation of foreign enterprises upon Iraqi soil. Tajpur’s piece urges not only an intellectual, but more so a psychological, emotional and physiological response from the visitor regarding the accumulation of data spread across the floor and strategically placed on the gallery wall. Ronald Lopez is an artist and curator with a devotion to emerging art, social justice, and alternative explorations. He specializes in creative access and traverses through social networks. Lopez has produced provocative art for more than a decade and has helped to implement city art programs in Los Angeles and Istanbul, Turkey. 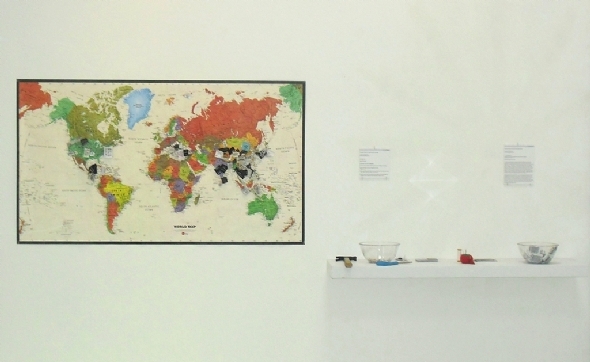 While in Istanbul, Lopez founded and developed the Aden Art Center (March 2002), a national, non-profit creative center for young and emerging artists. The Center featured an international program that included an artist-in-residence program and an exchange component for festivals. 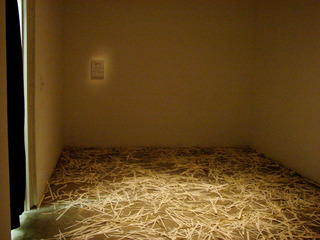 Highlights from his curatorial practice include “And That’s How it Ended?” / “The Divorce Show” (2007) at McNish Gallery, Oxnard, CA; “Does Religion Kill?” (2006) at 18th Street Arts Center, Santa Monica, CA, also showcased as a parallel exhibition during the 9th Istanbul Biennial in (2005); and “Behind These Walls” (2006) at Self-Help Graphics, Los Angeles, CA. Lopez has also participated in public art forums at the Arts Initiative Symposium in Yokohama, Japan; Alliance for Artists Communities’ annual conference at Carnegie Mellon University in Pittsburgh, Pennsylvania; and at the Res Artis’ annual conference at Museo Tamayo in Mexico City. Lopez is a recipient this year of a NAMAC Fellowship. He presently serves as the Program Coordinator at 18th Street Arts Center in Santa Monica, California.